The Theme this week is "LAYERS"
This is an awesome challenge to take part in Ladies & everyone loves Layers! I used 5 Layers on my card- 7 including the 2 Die Cuts which are Ovals by Spellbinders. I used papers, ribbon & blossoms from my stash & pearls. The Flourishes are a Marianne Collectables cutting die & I used a star embossing folder from cuttlebug. Don't forget to check out all the other Team A Blogs to see my Teamies Gorgeous cards Ladies- stunning! beautiful card.. the colors are perfect..
how are you doing hunni? 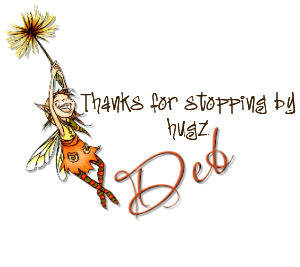 Your card is awesome Deb!!! Really beautifull colors!!! Gorgeous card love the image and colours. she looks like quite the sassy one, doesn' she?! but oh so much fun! love those gorgeous flowers. Hi Deb. Lovely colour combo & fab embellishments too. Fab girly card. Such a Beautiful card!!!! Love the fabulous Kenny K image you've used, the dp, the colour scheme is beautiful. Love the layout and the embellishemnts are fabulous. Coloured so beautifully. Thanks for joining us at The Poodles Parlour and Good Luck. Hope to see you joining in with us again. Gorgeous card hunni loving the colours. I have some Calorie free Candy if you are interested. Fab card and thanks for joining us at crafty catz with our colour theme. Hope to see you next week.